Have you ever wanted to be a tycoon? Be the owner of a worldwide conglomerate? Travel the world? 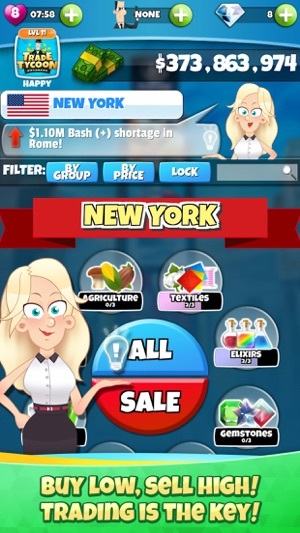 Trade Tycoon Billionaire is the game for you. 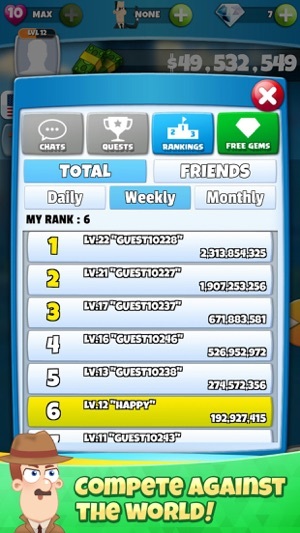 Tap your way to riches! 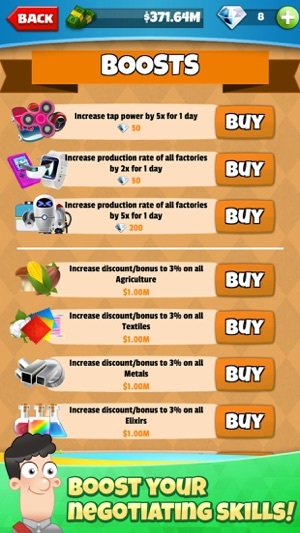 • Buy businesses and tap away to speed up production! • Buy and sell to rake in the money! • Explore the world to find the best bargains and make great deals! 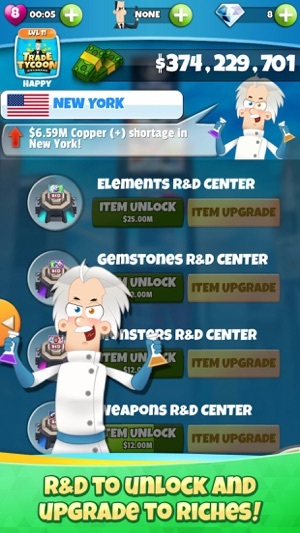 • Use the R&D Centers to unlock new items or upgrade existing items to make a cash windfall! • Build your business empire to grow your fortune! • Upgrade your deal-making skills to maximize profits. • Compete against friends and other up-and-coming business magnates! It’s easy! Make as much virtual cash as possible. Buy, sell, enjoy your profits! Explore the cities of the world to see where to get the best deals! Unlock all the business opportunities available throughout the world! Build up your business empire to grow your fortune even while away! Hire managers to make your job a little easier! So, you can concentrate on catching the big fish! R&D is key! A little knowledge goes a long way! Prove that 1+1 can sometimes be a lot more than 2! 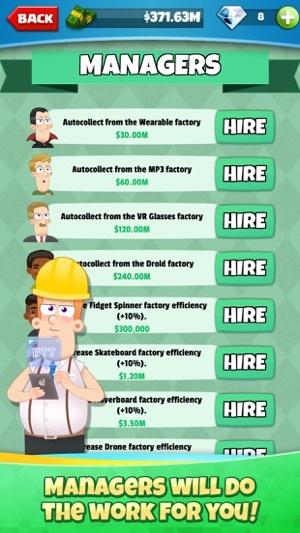 Be the one to create the uber item and make a fortune for it! 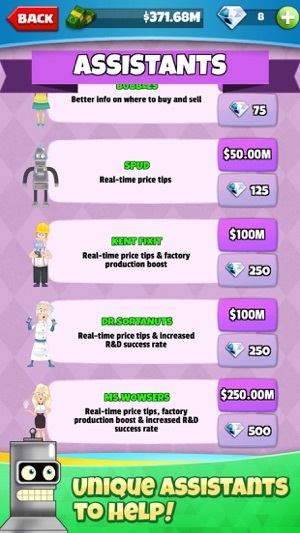 Take advantage of all the boosts and upgrades to maximize profits! 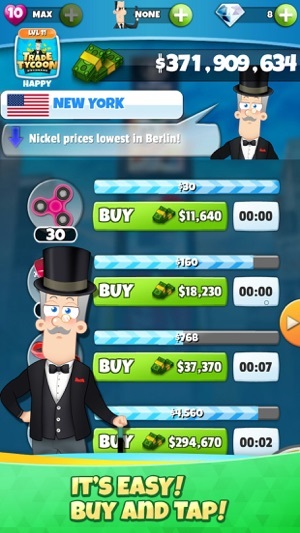 Make sure to get the best prices – buy low, sell high! 4 words to live by! Compete against your friends to see who is best at the Art of the Deal! Or if you like, compete against the best of the best – all up to you! I’m hooked! This is defiantly a game I won’t mind having my kids play. It’s a fun way to teach them how to be an entrepreneur. Thanks, Rich! Your kind words are definitely appreciated. We hope your kids enjoy the game (and maybe learn while having fun). Updated- they fixed the bug and I love it! Can’t wait to see more.